Today I’m guest blogging for my friend, Kellie, of The Yuppie Files. While she’s in Paris, she asked me to write about my favorite French import. Hmmmmm…..I wonder what that might be? I was fortunate enough to spend a week in Paris last summer with my family. Yet, what made it even more special was celebrating my birthday while I was there. To commemorate the day, my sweet husband took me Hermes and bought me one of their enamel bracelets. Every time I wear it, I think of Paris and my special day. So, my favorite French import is the icon of the orange box…Hermes! Whether you go to the original shop on Rue de Faubourg Saint-Honore of the smaller one on the Left Bank, there is no mistaking the quality of the workmanship or the aura of luxury! Kellie…I hope you get to stop in and bring home a little souvenir. Do you have a favorite French import? Hmmmm…on my way over to see right now! A Paris memory you can wear daily! Sadly, my favorite French import was a beautiful Celine bag that was stolen off my chair in a swanky NY restaurant – I was more upset about the bag than I was a bout the wallet! Hermes is the best isn't it? An enamel bracelet is on my wish list.. and my daughter's! Lucky you! Who doesn't love a little (or a lot of) Hermes!! 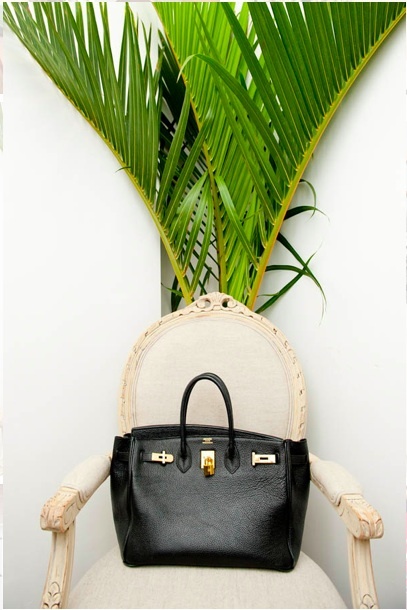 And poor Carolyn – can't believe her bag was stolen off a chair in a nice NYC restaurant!! OH, bonus points for hubby!!!!! I love Paris so much. Went there in 2006 and would love to make it back at least once more in this lifetime. It truly is Heaven on earth. 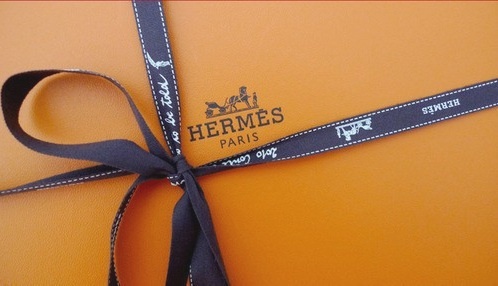 An Hermes bracelet would be fabulous, but I would be happy with the box! Love that color. That last photo is so cool–I would die for that scarf! Hermes scarves are so unique! I once featured them on my blog re mosaic patterns. Hermes really says Paris! So does Laduree or Longchamps or Monoprix! I just adore a really good 5 & dime! If you must know, art supply stores are a must in Paris. I could spend hours being told "ne touche pas!" Hermes. Happy sigh. That gets my vote, too! Sorry my blog did something weird- I'll try to fix it! No orange boxes for me in real life, but definitely dreaming about them!!!! Thanks Elizabeth!